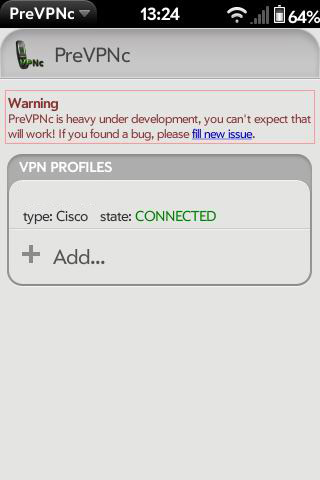 If you want to use your HP webOS device to access files on your company's servers, you may need to set up a VPN (virtual private network). 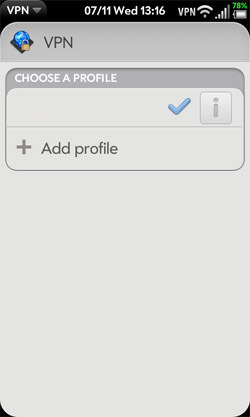 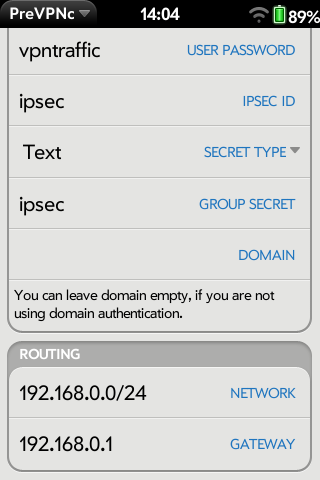 You can do this using the VPN application on a device running webOS version 2.0 or higher. 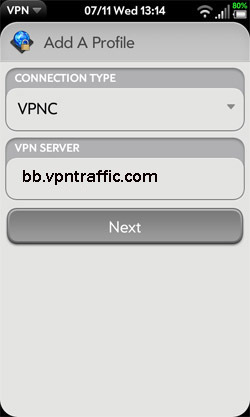 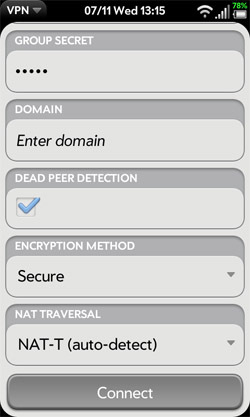 The VPN app enables you to log in to your corporate server through the company?s firewall (security layer). 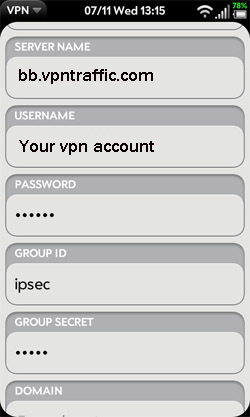 You need to set up a VPN to access a corporate server in any of the following situations. 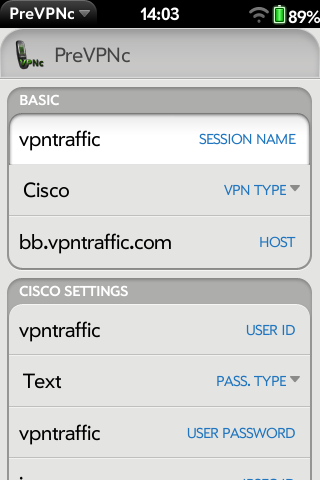 For webos 2.x , You need Choose VPNC , VPNC is a Cisco compatible IPSEC client.